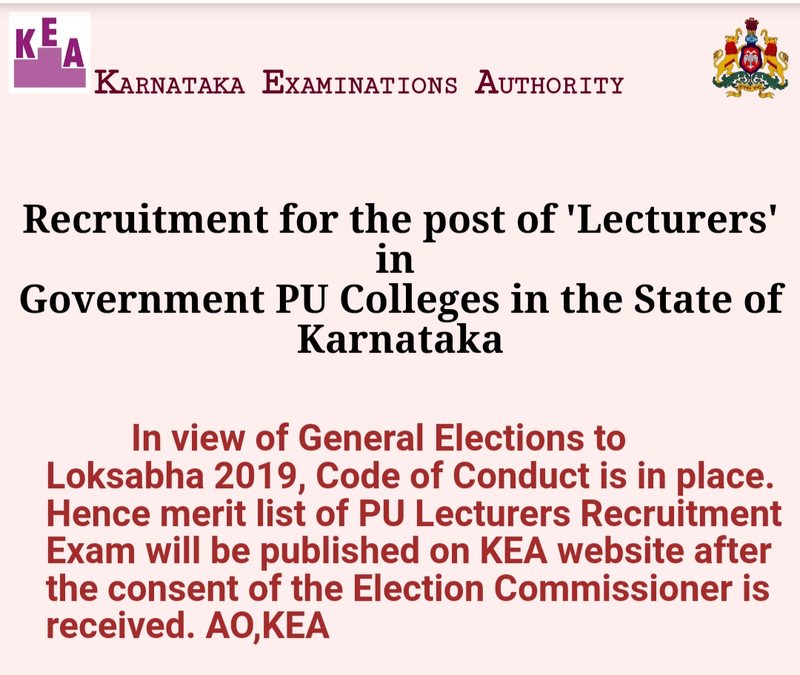 Thanks for reading KEA: PU college lectures recruitment held the publishing the merit list on behalf of lokhsabha elections. Please share...! 0 Comment for "KEA: PU college lectures recruitment held the publishing the merit list on behalf of lokhsabha elections"